Tielimu reticulated incense holder carved with rocks and figures. 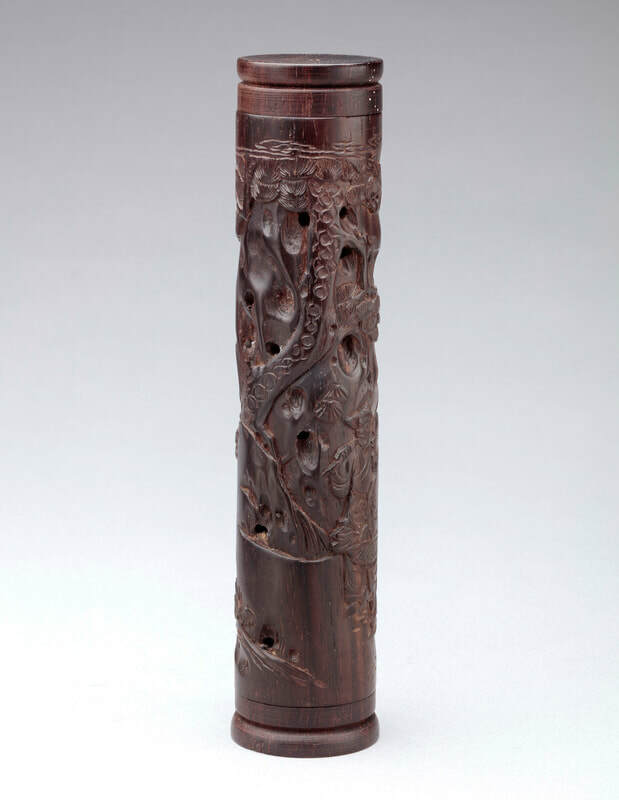 Qing dynasty, 19th century. 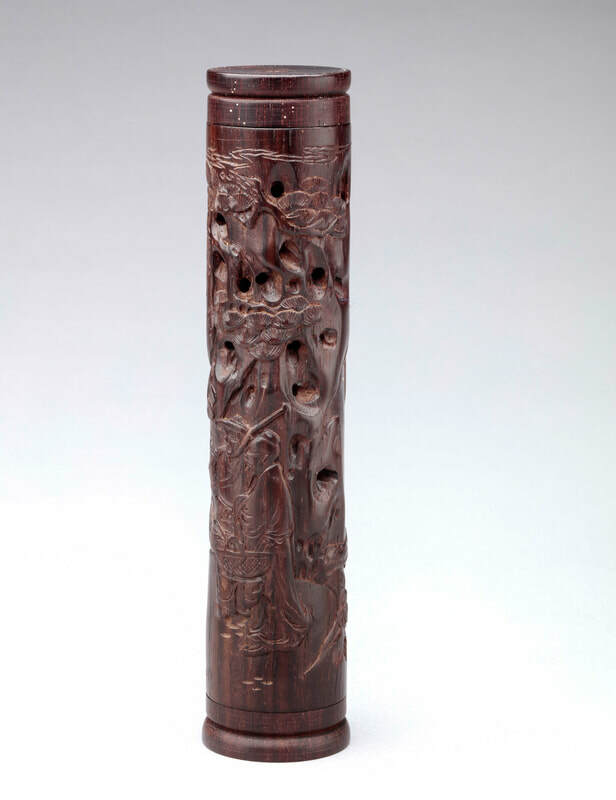 A tielimu, or possibly zitan, incense holder, in the form of a narrow cylinder evenly hollowed and carved in recessed relief with figures amidst trees and rockwork pierced to allow the incense smoke to escape. The cylinder is mounted top and bottom with a circular cap to hide the end-grain of the cylinder and is fitted with two removable covers on each end. 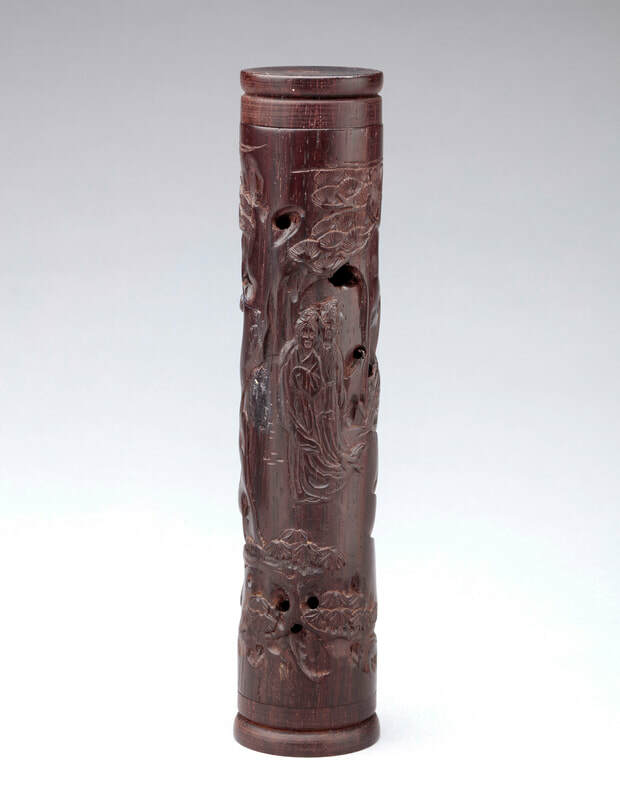 It is unusual to find these small incense holders, sometimes referred to as incense cylinders, in material other than bamboo, or on a larger scale, jade.